BC Parks is excited to be partnering once again with the Vancouver Aquarium as a conservation supporter of the WWF’s Great Canadian Shoreline Cleanup! Since 1994, over 700,000 participants from coast to coast have removed nearly 1.2 million kilos of garbage from Canada’s shorelines. The Shoreline Cleanup is recognized as one of the largest direct action conservation programs in Canada and BC Parks is excited to be a part of this initiative as official Conservation Supporter for the seventh year running. Interested in hosting a cleanup? There is still plenty of time to get an event rolling. Funding is available to support cleanup events in BC Parks by covering expenses such as cleanup supplies, fuel, lunch, snacks, and more. If you’re new to hosting a cleanup, check out this “Shoreline Cleanup 101” blogpost for tips on how to make the most of your event. 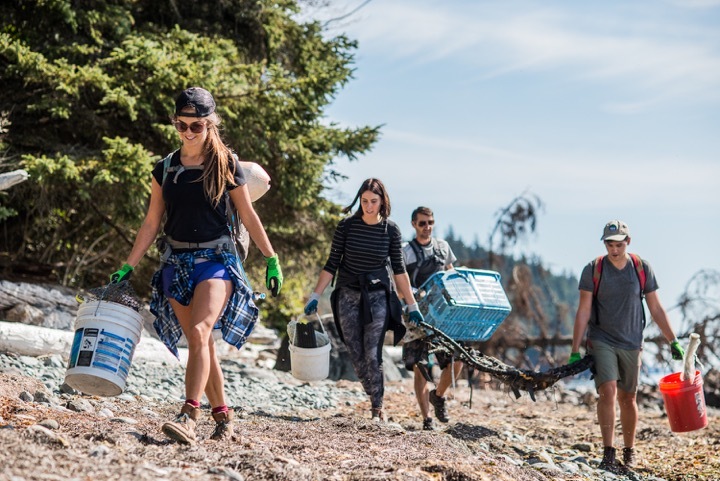 If you are interested in organizing a Great Canadian Shoreline Cleanup event in a provincial park, please contact BC Parks by emailing: BCParks.Volunteers@gov.bc.ca. Events are registered online through the Great Canadian Shoreline Cleanup website. After the event, cleanup data is submitted to the Great Canadian Shoreline Cleanup and recorded so efforts and highlights from the year can be tracked. Introducing the 2016 BC Parks Volunteer Award Winners!